A fossil the size of our pinky nail? That is not typically what we hope to see when we come to a natural history museum. After all, we're there to learn about dinosaurs. But it is exactly those tiny fossils that are paving the way for a new understanding of where and how dinosaurs lived. In the fervor to find skeletons of the large dinosaurs that roamed Earth during the Jurassic and Cretaceous, paleontologists have been probing fossil formations. They've done it for more than a century. Huge skeletons of Tyrannosaurus, Stegosaurus and other iconic dinosaurs have been unearthed. They have provided the foundation for research. A big question, of course, is what did dinosaurs look like? We want to know about what they ate. We want to know how they moved. However, those characteristics of big dinosaurs are only part of the story. Like animals today, dinosaurs lived in complex environments. They were populated by many smaller species. 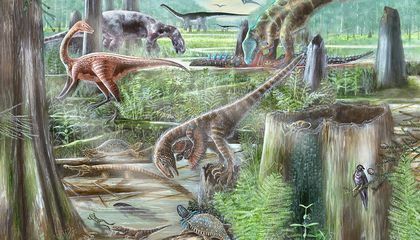 Dinosaurs depended on the smaller community members for food and functioning ecosystems. Many dinosaurs were themselves rather small. One example? The dog-sized dromaeosaurs. They roamed the United States during the Cretaceous. And, of course, even giant dinosaurs started life as little hatchlings. Paleontologists are combing fossil formations for the hordes of tiny fossils left over from dinosaur communities. The dinosaurs lived millions of years ago. Find out more in a live "Smithsonian Science How" webcast. It can be viewed on Thursday, March 10, 2016. The webcast is called "What Tiny Fossils Explain about Big Dinosaur Ecosystems." It will air at 11 a.m. and 2 p.m. EST. Find it on the Q?rius website. Dr. Matthew Carrano from the National Museum of Natural History will discuss and answer questions. Get teaching resources to use with the webcast. Why is studying tiny fossils important? I thought this article was interesting because of how those tiny fossils are connected to the history of dinosaurs. I was surprised to find out how important these tiny fossils were. These fossils help paleontologists figure out how most of these dinosaurs looked, moved, and ate. Without these tiny fossils we wouldn't know as much and would have to guess what they look like, moved, and ate. This is important to me because I really like dinosaurs and want to learn more about them. Tiny fossils are important because scientists are trying to figure out how dinasours lived. And they need to know about the little baby dinasours to figure that out. Studying tiny fossils is important because any type of fossils are important. Even the smallest animal fossils are worth about 2k. Even though they do not sell them people like seeing them. 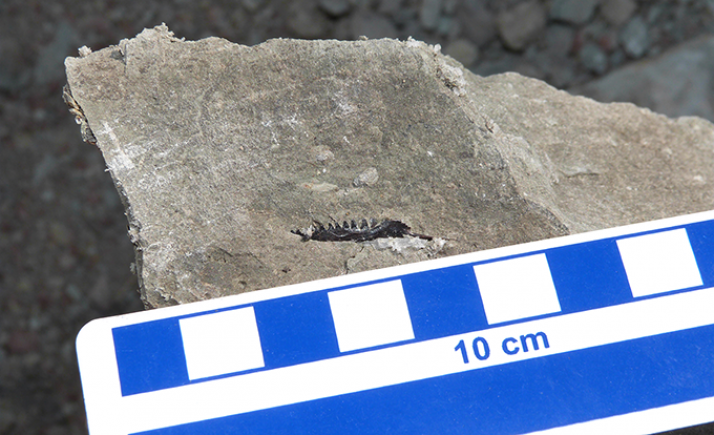 Tiny fossils are important because scientists are trying to figure out how dinasours lived. And they need to know about the little baby dinasours to figure that out.Studying tiny fossils is important because any type of fossils are important. Even the smallest animal fossils are worth about 2k. Even though they do not sell them people like seeing them. Studying tiny fossils is important because they can still learn a lot of history about the tiny fossils and how they lived and things like that. Because they want to know how dinosaurs look like, they want to know what they ate, and how they moved. So they can now how the dinosaurs lived and to see if there are dinosaurs that small or find a new species because dinosaurs could of died while still young. Because they wanted to see what dinosaurs look like, they want to know what they ate, and how they moved. Studying tiny fossils is important because if you want to be a paleontologist when you grow up you can know a lot about tiny dinosaurs and tell the other people that are paleontologists about dinosaurs. I also wanted to see how dinosaurs walked and ate but I can't because I don't have a time machine or anything to go back to the cretaceous time. My favorite dinosaur is a velociraptor because it is fast and hard for predators to eat them. I wonder why all the dinosaurs died when they were all around the world and the meteor that caused the dinosaurs extinct landed in one spot and all the dinosaurs died.